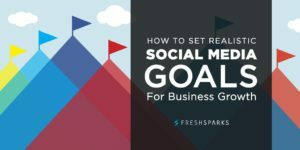 How to set social media goals for your business? Today people are concentrating on promoting their business through the social media. They know that this is free (in most cases) and workable method of gaining new clients and increasing sales. However, no one can just start and achieve 1000 subscribers in one day. Every long process needs preparation, strong plan and, of course, goals and objectives. 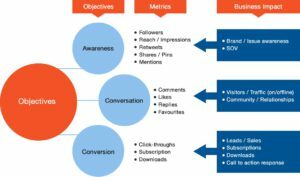 Why do we need to set social media goals for our business? Imagine that you are going to start a diet and lose some extra kilos. You can`t just start and then stop without a peep. You will hurt yourself and have all chances to get health problems. If we will set our social media goals, we will understand what is our main target and what steps we should complete to achieve it. If you understand the situation, you know how much resources do you need and how much time will you spend working in the social media. So now let us talk about social media goals and how to set them to get the needed result. Only three points, you think. However, it will be uneasy to complete all of them quickly. You should understand how the current social media works, when your subscribers open it to scroll the news feed, what pages they visit etc. You should make regular posts (create posting calendar), make reposts from pages you subscribe, leave likes and comments. Don`t stop working, because your competitors have the same target – to implement the plan. Remember that if you stop, your rivals will have better results. 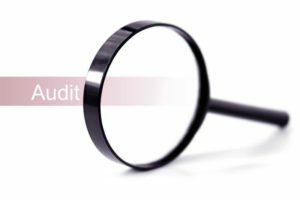 Auditing your performance is a very important part of setting social media goals because it can show you the progress of your work. For each social media you will know what should be changed or which part of current social media should be changed. Facebook and Twitter Analytics. Analyze your audience (age and demographic) and use this information to set the right social media goals. Google Analytics. The same functions as the previous tool, only for your Google account like Google+. Of course, you can search for other tools that have the same functions, but we gave you the most popular of them. With one of these tools, you`re be able to analyze your content in current social media and decide, what exactly must be changed. For example, you can find the most likeable post, your average number of comments, reposts and other actions and even your social media reach (1000 likes or 500 comments on your page). If you see that activity is too low, you can add more posts or change the style of your page to increase visibility and the number of subscribers. In simple words, OKR (Objective Key Results) is the number of tasks that you must complete to achieve your target. It`s looks like the first point in our article. Why we need to use it while setting social media goals? Because with it we will be fully concentrated on our task and know what exactly we must do to complete the task. If you keep working with objective key results, you will see the progress. Even if it`s a slow progress, you will continue doing the thing you`ve started. Yes, it looks more like motivational guide, but with it you will see the number of tasks that must be completed. The main focus is that only you decide what to do and in which sequence. Most developers are using more that one social media to promote their business and attract more people. However, you can`t just repost all your texts and messages from one page to another – there is no sense in it. How it works? For example, you need to increase activity of your blog and your main social medias are Instagram and Facebook. Choose one that will contain more posts (regular news and updates) and other that will play supporting role (announcements of new posts). With this simple step you will know which social media should be your main source of customers. Yes, you can work with both of them equal amount of time, but it can be too much. In final, we want to say that with right social media goals you can achieve every target you`ve set. We showed you some workable methods and hope you`ll use them during the work.